Managing security is becoming more complex as corporate boundaries extend to include roaming users, mobile devices and cloud environments. To manage security in this changing landscape efficiently, organizations need a security management solution that can centrally handle all security functions and deal with large volumes of mixed traffic data. Check Point’s SMART-1 appliances consolidate security policy, log and event management into a single dedicated management appliance. SMART-1 appliances scale to fit your needs today, with the ability to adapt to future requirements. Organizations of all sizes can leverage SMART-1 to manage from 5 to 5000 gateways within their network, and accelerate time to deployment for their security infrastructures. Further improve security and control by utilizing SMART-1 appliances with Multi-Domain Management (MDM), segmenting the network into as many as 200 independent domains by geography and business use. SMART-1 appliances efficiently manage and analyze security logs and events in real-time. By implementing SMART-1, organizations gain centralized visibility into millions of logs, get visual indication of risks and can quickly investigate potential threats. Smart-1 appliances consolidate security, log, and event management into a single dedicated management appliance and a unified management console for one-stop security management and monitoring. From SmartConsole, an administrator can define and monitor security policies across multiple security functions including Firewall, IPS, Anti-Virus, Anti-Bot, Threat Emulation, URL Filtering, and Application control. Smart-1 Appliances provide central security management and the ability to view logs, track events, view reports and monitor security and network activity, see trends, and centrally distribute signatures and software updates. Organizations seeking to optimize their security management can leverage the Compliance Software Blade on their Smart-1 Appliances. Security best practices provided by the Compliance Software Blade deliver continuous feedback to organizations to help them ensure that gateways and Software Blades are configured and managed correctly. The Compliance Software Blade simulates the security impact of configuration or policy changes before installation, and provides real-time notifications to administrators alerting them to potential risks. The Compliance Software Blade provides a valuable tool for organizations seeking to consolidate their security management and stay on top of your security posture. Smart-1 Appliances allow IT administrators to segment security management into as many as 200 independent domains. Easily create domains based on geography, business unit or security function to strengthen security and simplify management by segregating administration and policies. Smart-1 Appliances with Multi-Domain Log Management host log files in segregated domains and improve performance by isolating log traffic from management traffic. Smart-1 Appliances provide up to 24 TB of built-in storage as well as high-performance fiber channel connectivity to Storage Area Networks (SANs) for external storage. Starting with a single 1TB or 2TB disk drive, and expanding up to 12x2TB disk drives, the Smart-1 appliance is a flexible platform providing storage capabilitites suited for small to large environments, able to host billions of log records. Smart-1 Appliances support Lights-Out Management (Out-of-Band Management) allowing off-network monitoring and control of the appliance, including device maintenance and administration. Several add-on options are available including a fiber channel SAN module, and redundant and hot swappable power supplies and hard drives, for a high degree of availability. Check Point offers five new Smart-1 Appliances to meet the needs of any enterprise. The 205, 210 and the 225 are enterprise grade appliances capable of managing 5, 10, and 25 gateways respectively. The 3050 and 3150 are high end security management appliances capable of managing 50 and over 150 gateways (up to 5000 Check Point 1100 gateways on the 3150). Every Smart-1 Appliance includes SmartLog as part of the Logging and Status Software Blade and unified security management console. This enables enterprises to centrally track log records and security activity across all Software Blades with split-second free-text search results, providing administrators instant visibility over billions of log records. The intuitive search box delivers real-time search results from any log field displaying top-down results, saving security administrator’s valuable time. Administrators can search multiple log files, time periods, gateways and domains, or search by action, user, time or geography for powerful granular security investigation. The Logging and Status Software Blade transforms data into security intelligence with real-time visibility over billions of log records from a single, integrated security management console. Smart-1 Appliances with Next Generation SmartEvent deliver real-time cyber threat visibility in the era of Big Data. Customizable views and personalized reports enable organizations to monitor important activities and keep key stakeholders informed. Next Generation SmartEvent delivers big data threat detection capabilities in just seconds. Administrators can move from a high level view to detailed forensic analysis in just a simple click. With free-text search, and correlation of multiple logs, organizations can generate weekly reports in less than ten seconds, and quickly analyze data and identify critical security events from the clutter. The Smart-1 Appliances provide a wide variety of network interfaces. Built-in 1GbE copper interfaces and optional 1Gbe or 10GbE copper or Fiber network NICs allows for flexible network connectivity. The optional SAN interfaces enable integration with high-performance fiber channel networks for backup, disaster recovery, and compliance requirements. Dimensions – Standard(W, D, H) 16.97 x 11.52 x 1.73 in. 16.97 x 10.89 x 1.73 in. 17.4 x 21.77 x 1.73 in. 17.4 x 23.66 x 3.5 in. 17.4 x 24.85 x 5.2 in. 7 Smart-1 225 can be ordered with or without SAN card. The SAN card cannot be ordered separately for the Smart-1 225. 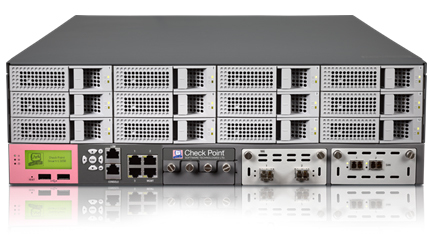 Download the Check Point Smart-1 Appliances Datasheet (PDF). Smart-1 license cannot be used on any system other than the dedicated Smart-1 appliance. Appliance includes hardware warranty for 1 year. Compliance and SmartEvent blades included for one year. To extend the license please refer to the Annual Software Blades extension SKUs. For explanation regarding the management licensing model for Check Point Virtual Systems, please refer to https://sc1.checkpoint.com/uc/pdf/pricelist/VS_management_lincesing.pdf. Smart-1 3150 - can manage an unlimited number of Endpoint seats (single-domain only).